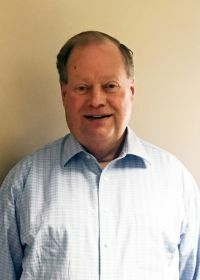 Gary Martin :: Lane Enterprises, Inc.
To say that Gary Martin has made McDonald’s a career seems like an understatement. When you dedicate four decades to one industry, it’s obviously more than just a job. Gary has seen McDonald’s from many angles, in many different cities. From St. Louis where he grew up, to Florida, New Orleans and back to St. Louis, only to find his way to Kansas in 2001 and in western Kansas since 2011. But it’s not work if you like it, right? Gary is currently supervising the McDonald’s in Great Bend, KS, and the four stores in Hutchinson, KS. In his spare time, Gary enjoys spending time with his almost two year old granddaughter and is an avid reader and baseball fan.